We Care, Every Hour, Every Day. Visit our Bill Pay page and learn how you can take care of your bill, no stamp needed! 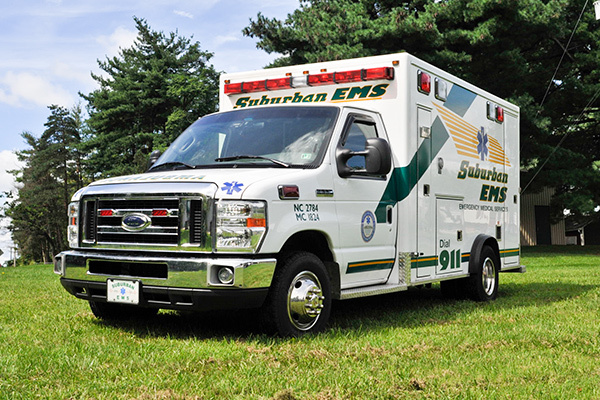 Here at Suburban Emergency Medical Services, we pride ourselves by being a full service medical services and transportation provider. Find out how you can help control the cost of ambulance transportation and pre-hospital emergency medical care for you and your family. Suburban EMS’s roots in the community began in 1953 as Suburban Fire and Rescue Company with two ambulances serving three municipalities. As the community has grown, so has Suburban EMS. 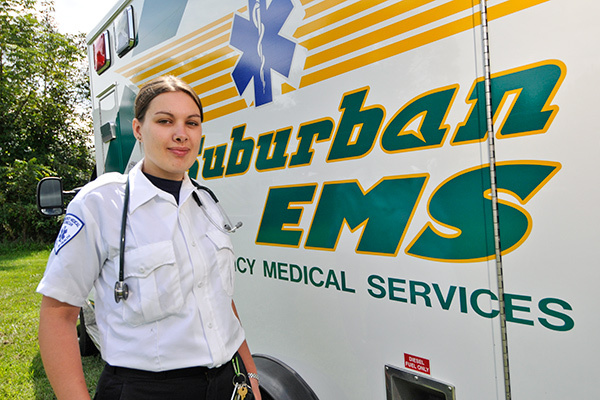 Today, Suburban EMS provides reliable, professional, state of the art emergency medical services in 19 municipalities. We cover 232 square miles and serve a population exceeding 142,000 people with over a million seasonal visitors annually. A designated 501(C)(3) non-profit, we are an independent organization not affiliated with municipal governments. The Mission of Suburban EMS is to respond promptly with exceptional skill, flexibility and compassion to the needs of each person we serve. Our actions will convey high competence and caring whatever the circumstance, providing a memorable sense of security and reliability. We provide all of our services in a professional manner while maintaining the dignity of those we serve. Our trained staff continuously strives to learn, improve and grow in enhancing the delivery of emergency medical services to those we serve. What We Provide: In addition to our emergency mission, Suburban EMS provides valuable non-emergency transport service to local hospitals, assisted and senior care living facilities, hospice organizations and rehab facilities. Patients are transported by ambulance as well as via wheel chair van services. Our PUC license allows us to provide non-medically related paratransit services including social engagements. The Suburban Advantage: Strong Presence - Local Billing – Knowledgeable Staff: We have a strong presence in the community and take pride in our ability to respond quickly and reliably to our community’s needs. We are able to handle substantial call volumes as we are staffed around the clock. We are skilled in providing the transport you need. In 2016 alone, we handled over 48,000 calls. Suburban EMS prides itself on its accurate and timely billing as our billing function is performed in our centralized billing department. If you have a question about your bill, a Suburban EMS employee, who is familiar with the area and customer base, is available to assist you. Our Department of Health State Licensed EMS Service is staff of paramedics and EMTs meets or exceeds state required minimum standards. Staff competency is evaluated annually by our service medical director. Managing Costs: We offer a subscription service that will provide for discounted rates for our transport services not covered by insurance. Community Outreach: Giving back to the communities we serve is important to us. We provide CPR AED training to local police, boroughs, and townships, provide fire rehab. for fire personnel at major incidents, and stand-by’s at local sporting events for the community athletic associations and schools as requested. We work with local schools and community groups to deliver educational seminars pertaining to accessing the 9-1-1 system, recognizing heart attacks and strokes. We have been in business for the past 65 years, working around the clock 24 hours a day, 7 days a week. As of today, we provide emergency and non-emergency medical care transportation in 19 municipalities, in Northampton and Monroe Counties. Our four stations are able to cover an area of 232 square miles and serve over 142,000 people.